Factors like make up, pollution, dirt and the environment can leave you with clogged pores, acne, and dull skin. The treatment is led by our skilled and proficient aestheticians. 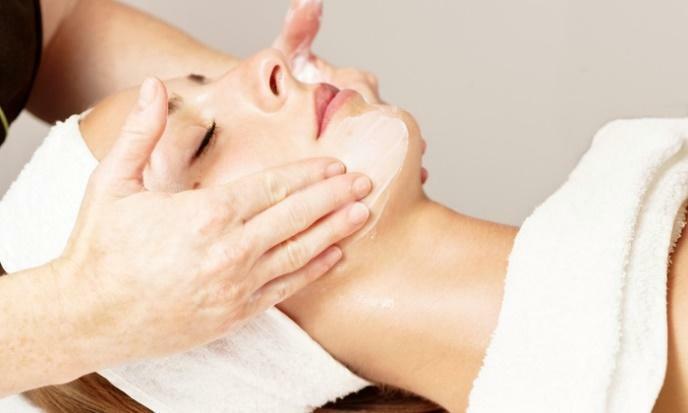 Our “Crystal Clear” deep cleansing facial is an exfoliating treatment that helps prevent your skin from experiencing acne breakouts, dehydration and other impurities and other skin conditions. It's designed to clear out clogged sebum and eliminate blackheads. Extractions (sometimes with a lancet) do most of the heavy lifting. The process includes cleansing, extractions, facial massage and facial masks. It boosts the blood circulation within the skin which helps to repair the damaged skin cells, whilst also toning, strengthening, and tightening skin cells. During AGELESS facial, the aesthetician uses IMAGE/PCA/Skinceuticals products and techniques designed to brighten skin and improve elasticity in the skin to reduce the signs of aging. Treatment provider selects from a variety of anti-aging facial treatments such as vitamin-infused serums, collagen masks, and rejuvenating facial massage techniques. *Additional anti-aging solutions include light therapy facials, laser skin services, and microneedling. Additional solutions require extra charge. Bring back your skin to life with a GLOW! Repair and restore dry, stressed or mature skin with a relaxing lymphatic massage. A customized mask is applied to diminish the appearance of fine lines, improve texture and achieve an overall healthy and youthful glow. 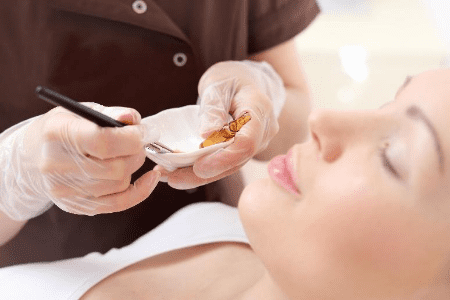 (Sometimes aesthetician might perform minimal extraction if necessary – for full extraction of face refer to “Crystal Clear” deep-pore facial). Lightens overall complexion, brightens dull skin, evens out skin tone and minimizes the appearance of hyperpigmentation (age spots, freckles, sun spots and scars). Aesthetician uses Image ILUMA product line to achieve bright radiant even skin complexion, with relaxing massage of the face for a lifted, awaken appearance. Treatment provider exfoliates the skin to smooth out uneven skin texture leaving the skin prepped to better absorb active ingredients in ILUMA serums and crèmes. 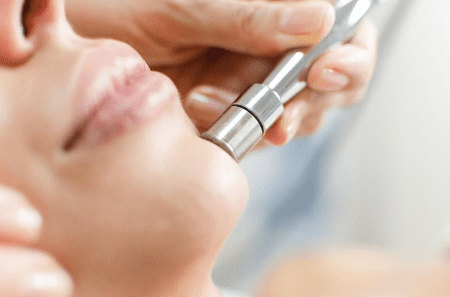 Microdermabrasion is a type of deep exfoliation that helps reduce imperfections such as blemishes and small wrinkles. It can also help reduce mild acne or acne damage. A hydro-microdermabrasion treatment is performed on moist prepped skin from Bio-Therapeutic. This facial is good for dealing with mild acne and mild acne scarring, as well as for correcting skin imperfections. With the topmost layer gone, the skin is stimulated to produce new cells, giving you a fresh and rejuvenated look. Treatments also clean and unclog pores, thanks to both the exfoliation and the suction that removes dirt and dead skin cells. An added benefit is that microdermabrasion increases the effectiveness of lotions and creams by removing obstructions from pores. Note that you might need more than one treatment in order to get the full benefits of microdermabrasion treatments. 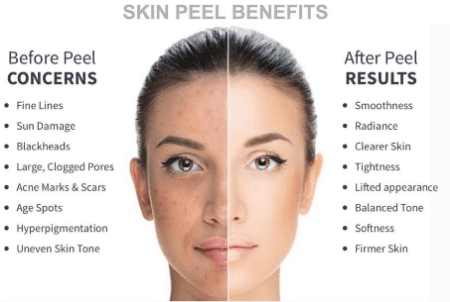 The type and depth of chemical peel administered will depend on your skin type, concern, Fitzpatrick type, and skincare habits. Consult with your skincare professional to create a customized treatment plan for your specific skin needs and to understand how to maintain results with advanced homecare. Revive your skin with Oxygen! During this treatment, aesthetician starts off with cleansing the skin thoroughly, followed by the “Gommage” technique exfoliation technique using IMAGE Oxygen product. The skin is infused with plant-derived stem cells, peptides, and a high concentration of enzymatic botanicals into your skin leaving it feeling and looking supple, refreshed, and silky soft!